At Amarillo Wrecker Service we provide a host of full-service, 24-hour heavy duty towing services to the Hale County TX area. Light and medium duty vehicles are any vehicle under 26,000 pounds. So if your vehicle is at 26,001 pounds or more, you’ll need our exceptional 24-hour heavy duty towing service. 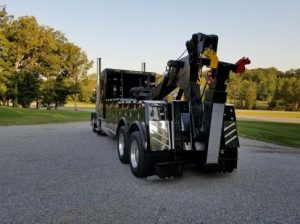 We can provide heavy duty towing, recovery, and winch outs for these types of vehicles to include semi-tractor trailer trucks, under-lift equipment, and bobtails. Our winch outs service vehicles and tow trucks have rotators capable of winching 60,000 pounds per winch and a boom capacity of 60 tons. Our rates are affordable so we won’t break your budget. The occupational risks involved are even greater, proportionate to the towing burden. The towing burden refers to the load or weight that needs hauling. What this generally means is, the heavier your load, the more risk involved and vice versa. As the name insinuates, Hale County heavy duty towing refers to transporting a significantly hefty load such as buses, trailers, trucks, etc. A lot of training goes into training tow truck staff. And naturally, the greater the threat, the greater the focus placed to safety. 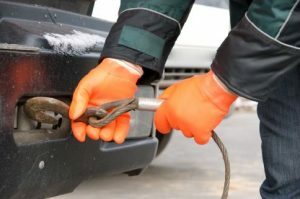 As a tow truck driver, before attempting to take part in heavy duty towing it is imperative that you assess the job at hand to determine your next step of action as well as the risks involved. Staying alert, requesting for help and occasionally reviewing your safety checklist are a few ways in which you can keep yourself and others safe. Even when you are exceptionally skilled, have sufficient equipment in perfect working condition, accidents can still happen. As a tow truck driver being accountable and acknowledging the risks of the task is a great way to remain safe. No matter the job, there are always occupational hazards. They can be both avoidable and inescapable depending on how invested a tow truck driver is in their task. Traffic and bad weather conditions are good examples of unavoidable occupational hazards. No matter the condition of these two factors, if there is a need, heavy-duty towing will have to occur. Picture a pileup that results in a massive traffic jam on a major road occurs, everything else ends up being irrelevant, and a driver’s only concern is how quickly they can get moving again. Fatigue, though preventable is still a danger that happens. As a tow truck driver, making sure that you get enough rest is necessary. It is hard to navigate a stalled vehicle, not to mention one that weighs tons. ensure that you have the right equipment for heavy duty towing in Hale County. Even the smallest detail suffices to change the course of action or chain of events. The right equipment includes even your safety gear such as your gloves. Avoid overloading weights. Check and confirm both vehicle weights in addition to the weight limitation of the payload being towed. Before you commence towing, ensure that proper warning labels/signage has been put up. Have established communication signals that can be utilized throughout the process. Respecting rules and policies while on the road is just the start and one of the most basic steps to staying safe while on the road. This is true for both tow truckers and normal motorists in Hale County TX. In case you witness any violations that might lead to harm, keep your distance and report to the necessary authorities. Keep in mind a qualified tow truck is always the best choice. Hale County is just one of the many counties in Texas that we serve.